Dear children, do you know that old song about the first snow and how it covers everything under a white, warm blanket? 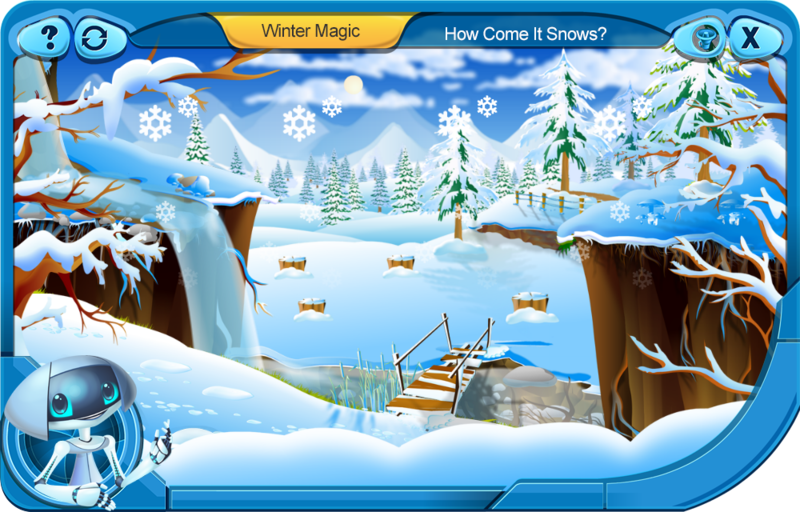 Well, now, with the first snow, we present you with a new series of elearning games for kids from the icy wonderland called 'Winter Magic' - a series of 21 games for 3 to 7 year olds. These games will delight you with the Holidays’ magic and, at the same time, they will enlighten your mind and enhance your knowledge. 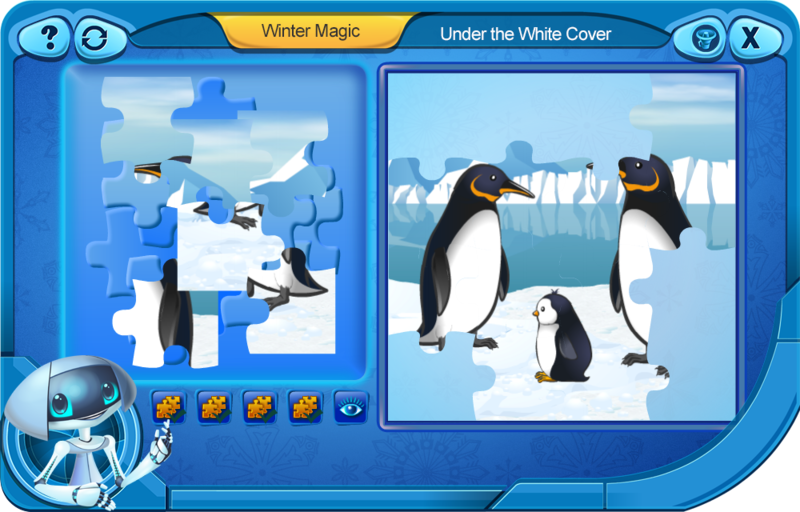 For example, you will have the chance to solve winter themed puzzles; build new toys; assemble Christmas ornaments and party masks; identify and associate numbers, patterns, colors and shapes; practice spelling; discover polar animals and learn about their habitats; understand the formation of snowflakes, etc. Come on, let’s discover each game together! 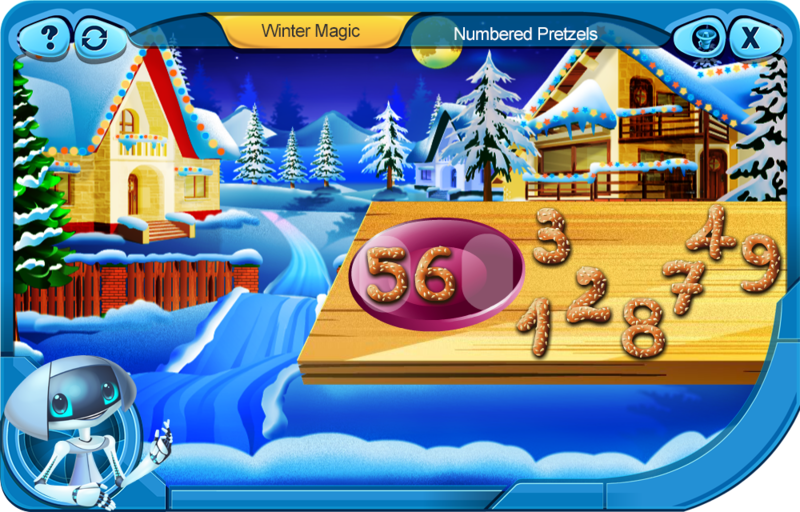 In this game, your challenge will be to identify the numbers from 1 to 5 and associate them with their graphic sign. In this game, you’ll have to associate words and images with opposite meanings. 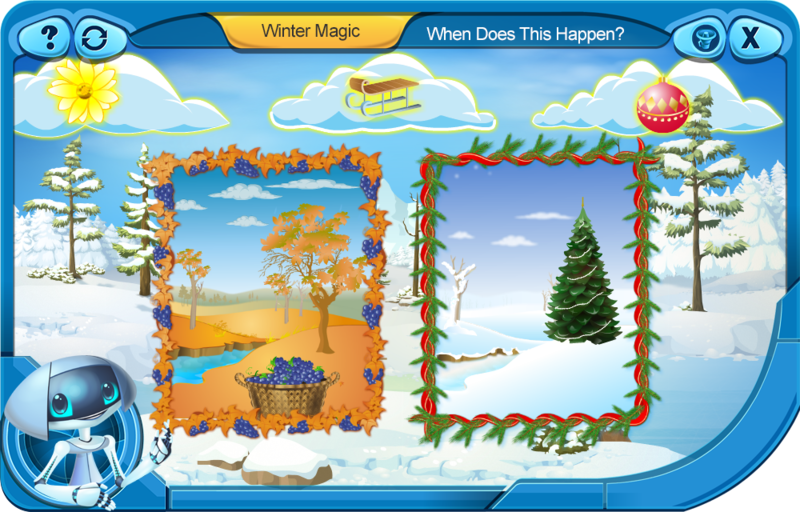 To complete the paintings from this game, you’ll have to associate the elements with the appropriate season, i.e. autumn or winter. 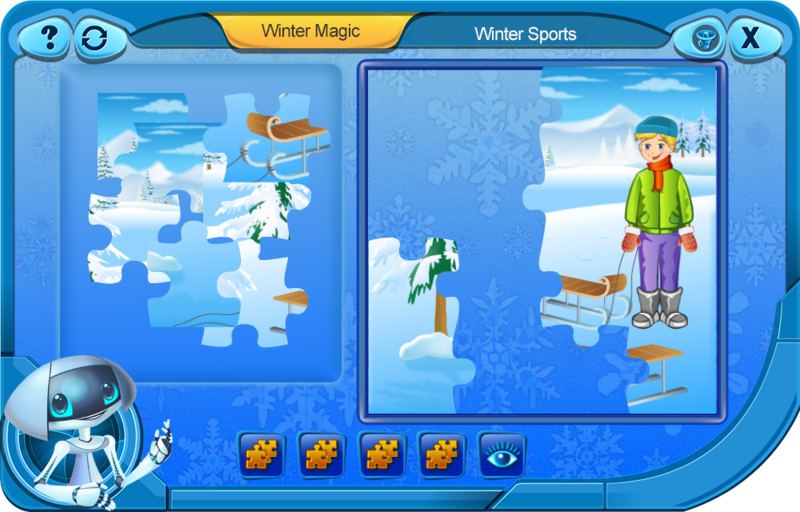 In this game, you’ll have to arrange the winter sports pieces together in order to solve the puzzles. 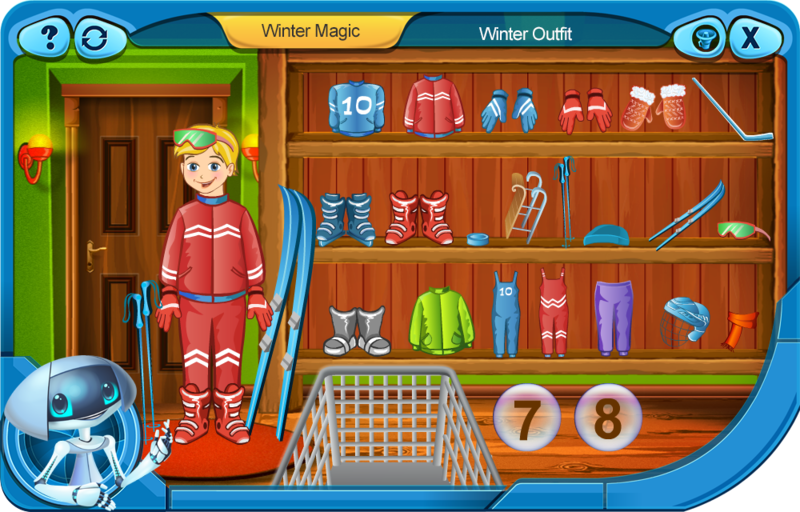 In this game, you’ll have to differentiate between the clothing items worn when performing different winter sports. 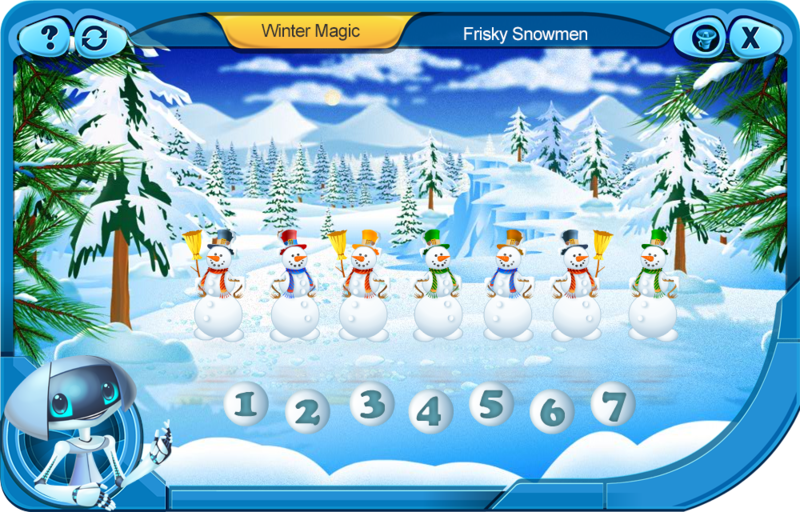 In this game, you need to pay attention to details and associate the numbers from 1 to 7 with the arrangement of the snowmen. 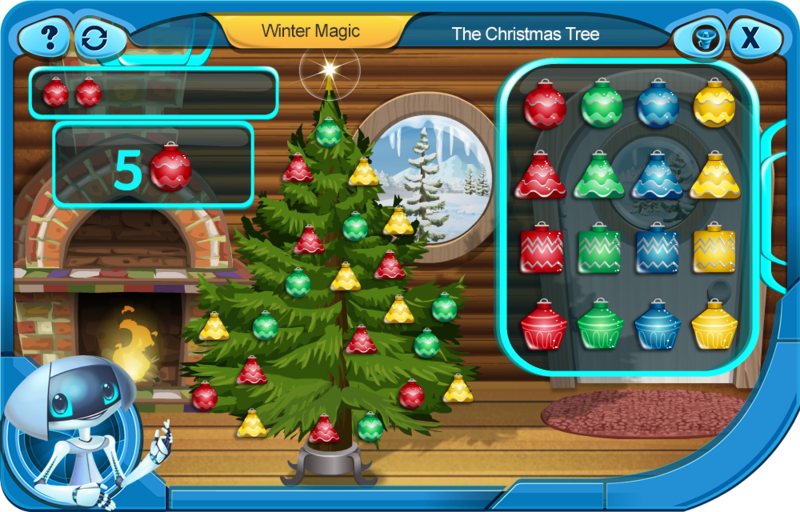 This game will give you the chance to dress the Christmas tree! You only need to arrange the Christmas ornaments according to shape, number, and color. 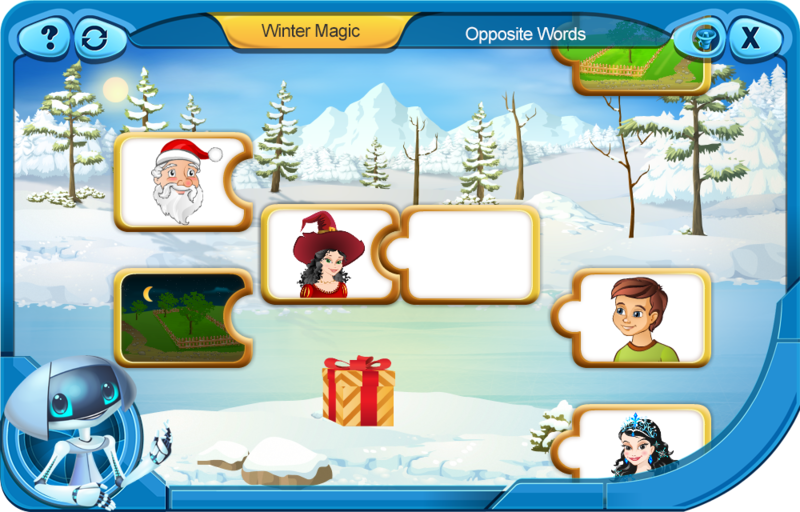 If you comprehend the short rhymes from this game, you’ll get the chance to practice your vocabulary and solve the winter riddles. 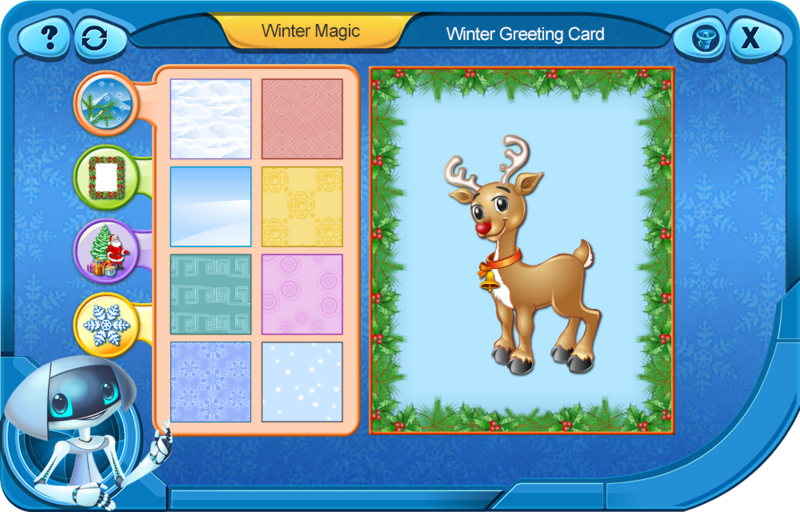 In this creative workshop, you can select the decorations and create your personalized greeting card. 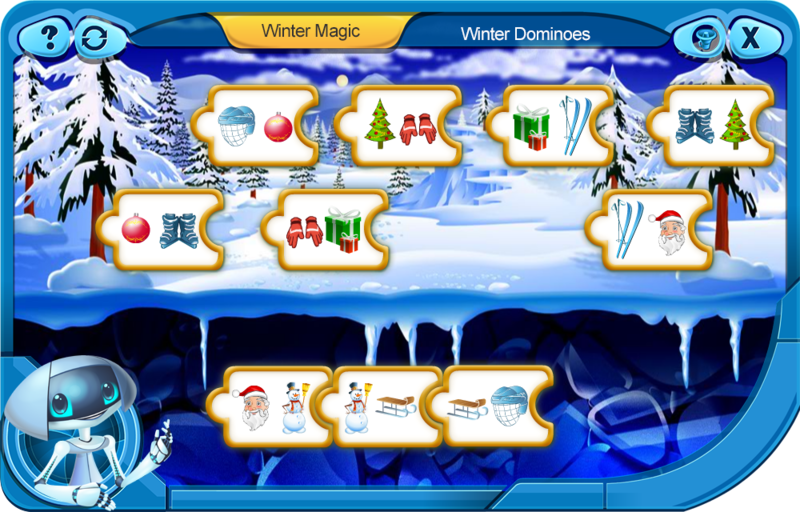 If you like dominos, this game is for you because you can match the domino tiles with winter symbols. 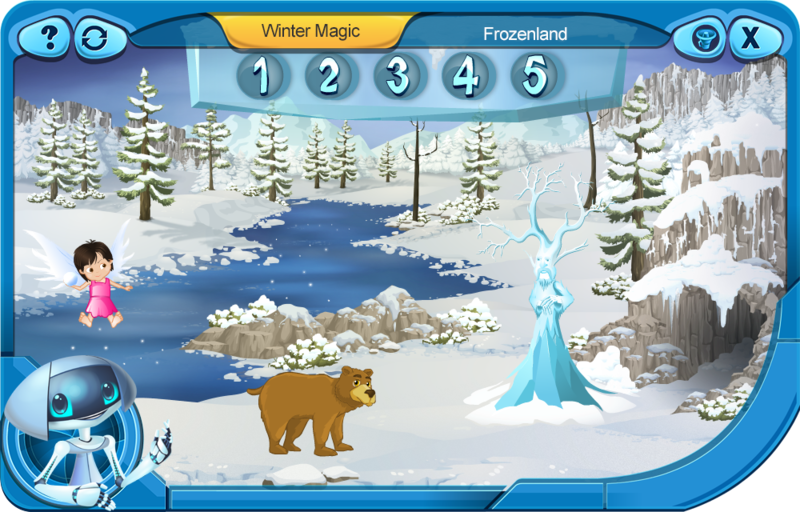 In this magic winter land, you’ll practice recognizing the numbers from 1 to 9. This educational game will explain you how water drops turn into snowflakes. 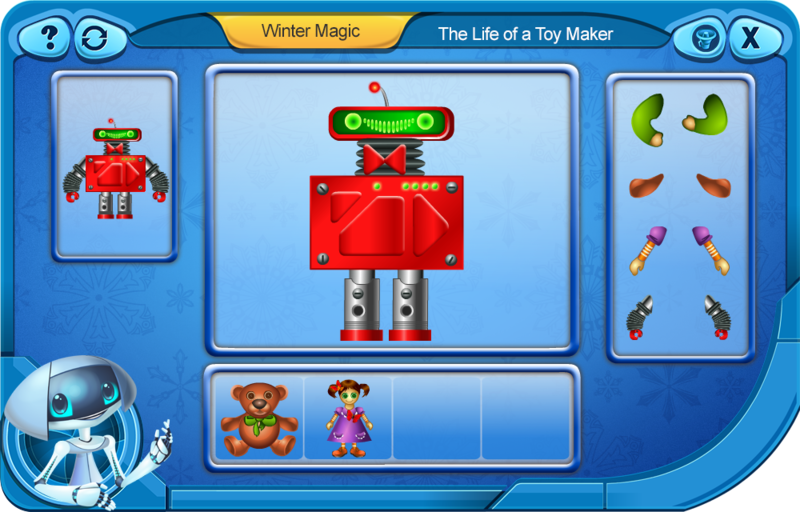 If you like assembly games, than you’ll love this challenge, because you can chose the pieces to build a toy. 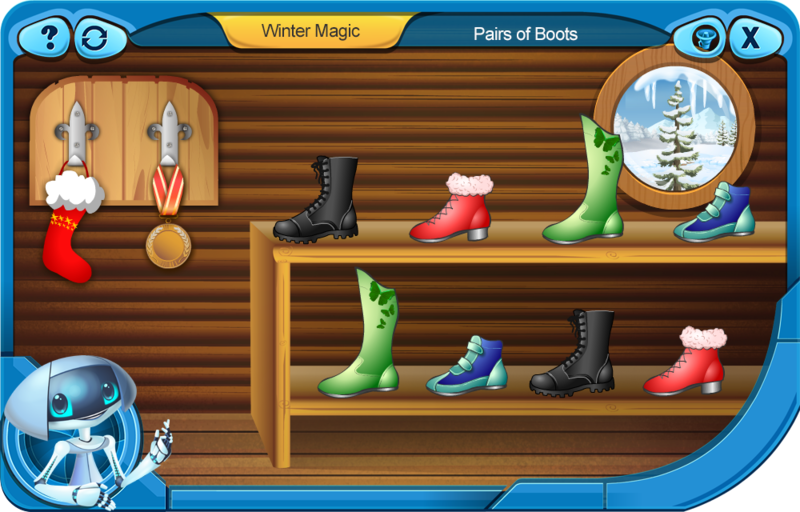 In this game, you’ll have to identify patterns, shapes and colors, so that you’ll be able to form pairs of shoes. 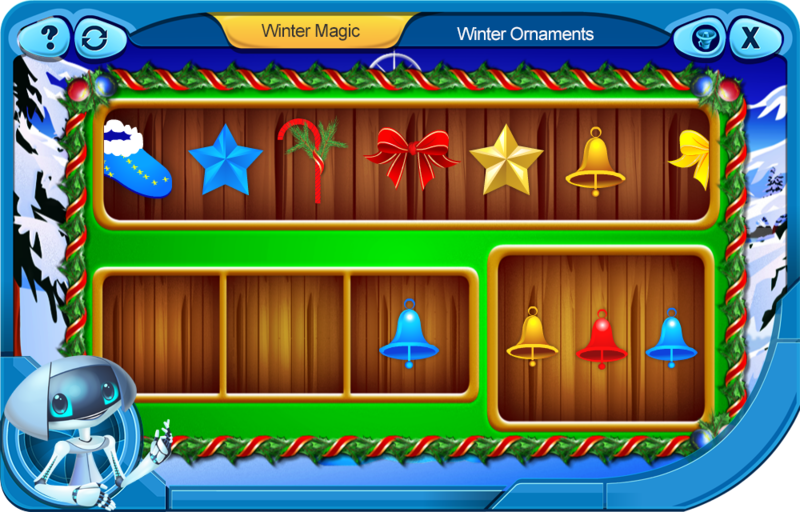 This game will help you develop your ability to pay attention to details, by challenging you to identify similar shapes and patterns, all in a wonderful Christmas décor. Winter travel can be dangerous and, sometimes, babies are separated from their mothers during their journeys. 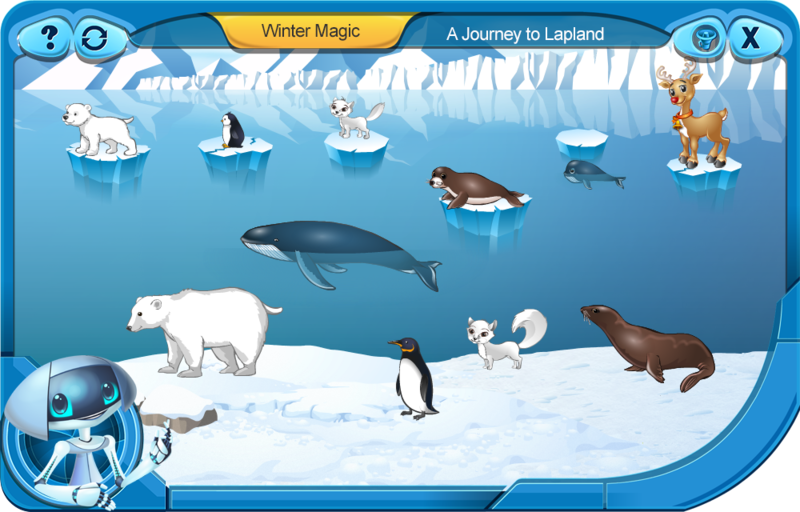 In this game, you’ll discover the cubs of arctic animals and will help them reunite with their mommies. Surviving the arctic environment is suited only for the strong and fit animals. 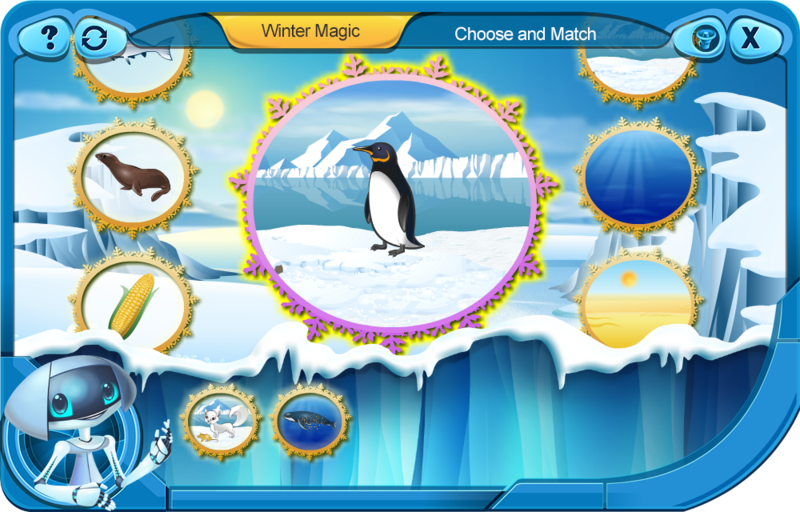 In this game, you’ll discover the lifestyles and habitats of the most important animals that live at the Poles. The puzzles with increased difficulties from this game will help you develop your spatial abilities as well as strategic thinking. An ancient custom on New Year’s Eve is wearing traditional masks to cast away evil spirits during the upcoming year. 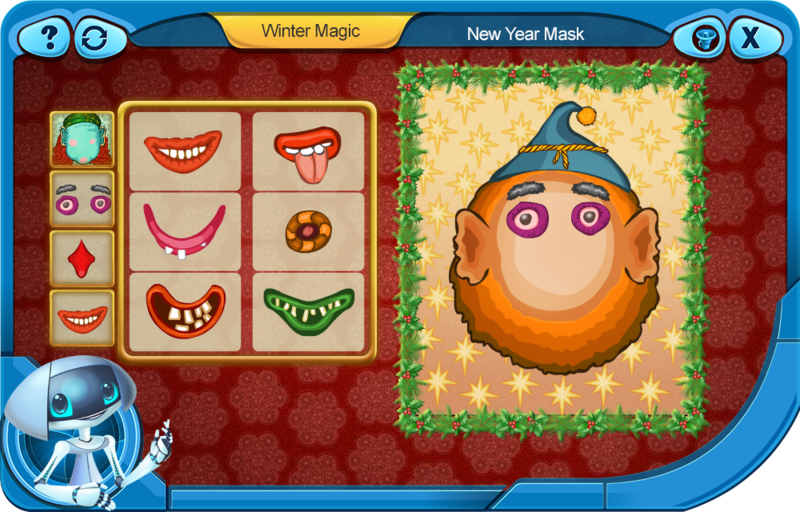 In his game, you’ll have the chance to craft your own mask for New Year’s Eve. 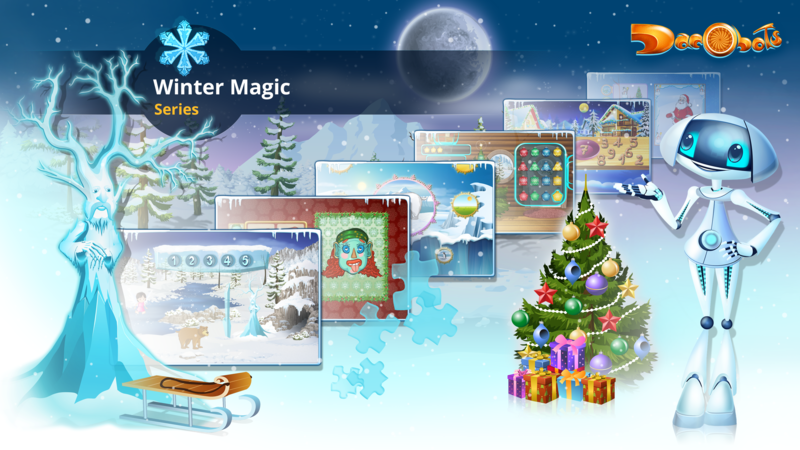 If you like winter decorations, you’ll love this game because you’ll be able to create your own decorations by following a sequence of elements. Before you go caroling with your friends, you need to prove that you can differentiate between “more” and “less” and identify sequences of numbers from 1 to 9. 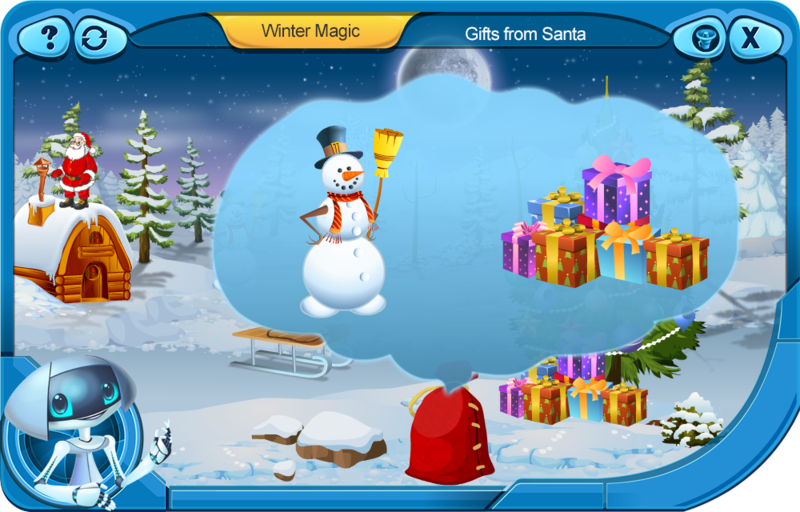 Certainly, you’ll enjoy the games in the Winter Magic series not only during the winter season but also all year round.